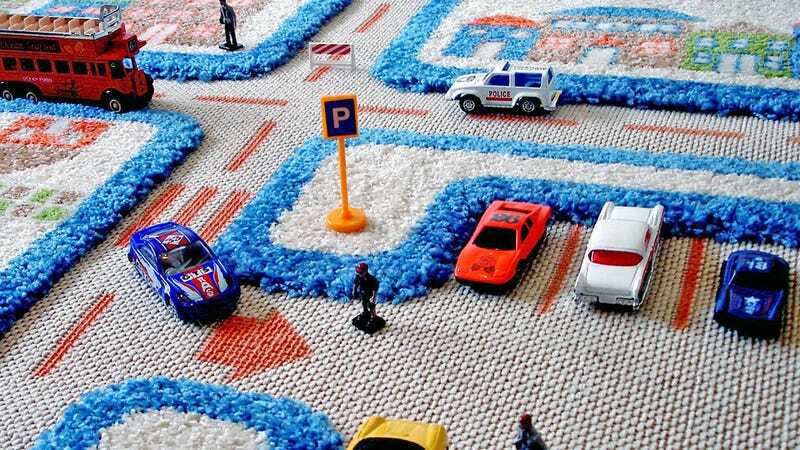 Anyone who grew up with a tiny garage full of Hot Wheels cars must remember those plush playmats featuring roads, parking lots, and parks. You were free to cruise around anywhere you liked—but what kind of message does that send to future drivers? These IVI 3D Play Carpets are a much better alternative, featuring a mix of soft carpet and smooth roads that limit where a tiny car can roam.